The discernment of one’s vocation may be the most important duty of each Christian. The vocation is a divine call from God that requires an informed and free response. Our greatest example from scripture is the Blessed Mother’s fiat in response to the angel Gabriel. “Behold the handmaid of the Lord: be it done to me according to your word” (Luke 1:28). What are the consequences if Mary would have said “no”? There are many objects that give a person pleasure without the joy. Some people desire to be famous, drive fast cars, or make lots of money. The pursuit of these things may give a temporary happiness but will leave a person empty. We have a natural desire to be happy and there is only one who can fulfill this desire completely. God alone satisfies (St. Thomas Aquinas). Many people misunderstand the role of a career as part of a vocation. A career as a doctor, lawyer, accountant, business manager, dental hygienist, or truck driver is not a vocation. The catechism states that there are four vocations within the life of the Church – priesthood, religious life, marriage, and the single life. The key to discerning your vocation is a strong prayer life and frequent participation in the sacraments like Mass or Penance. 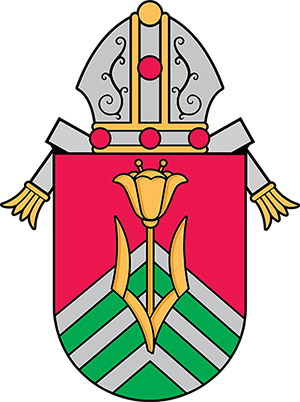 If you feel a call to the priesthood then the best thing to do is to talk to the Vocation Director of the Diocese. Let’s face it – this is a big step. 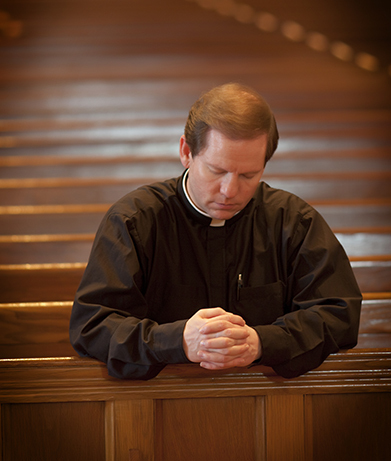 Quiet possibly, a discerning fellow thinks about the priesthood, prays about the priesthood, and maybe talks to one or two close friends about the priesthood. But to really figure out what the Lord is calling you to do, you need to talk to the Vocation Director of the Diocese.